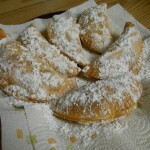 Picadillo Empanadas are a very common Cuban dish. They can be found at any meal, but are usually eaten during lunch or as a snack. 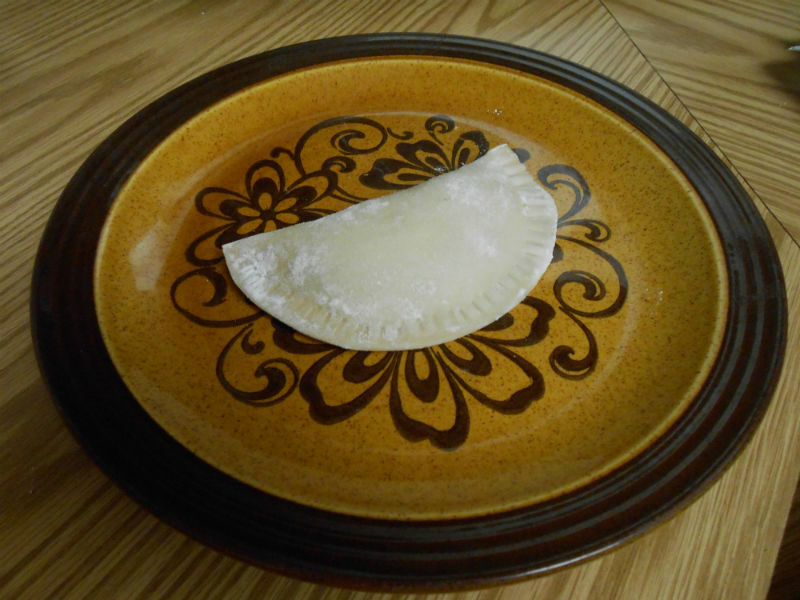 Beat egg for egg wash.
Brush inside edge of empanada dough with egg wash. 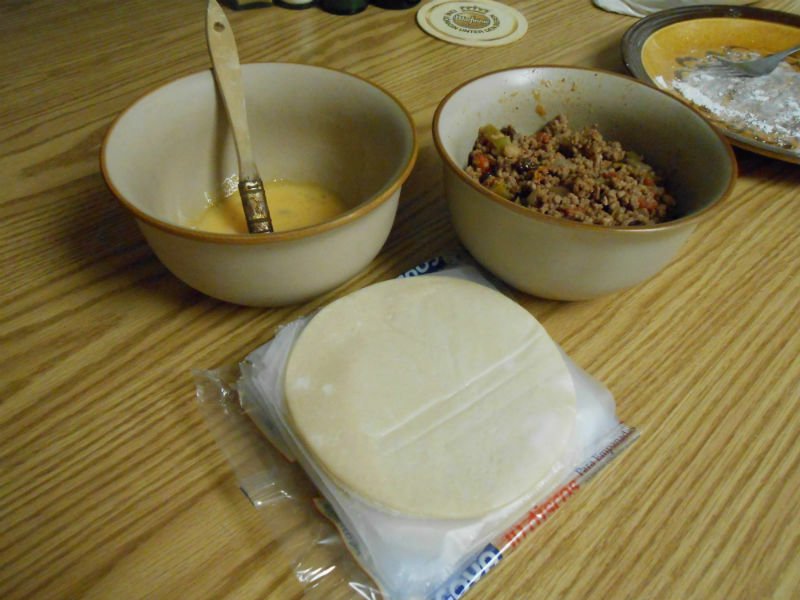 Fold, seal, crimp edges with a fork and set on a plate. 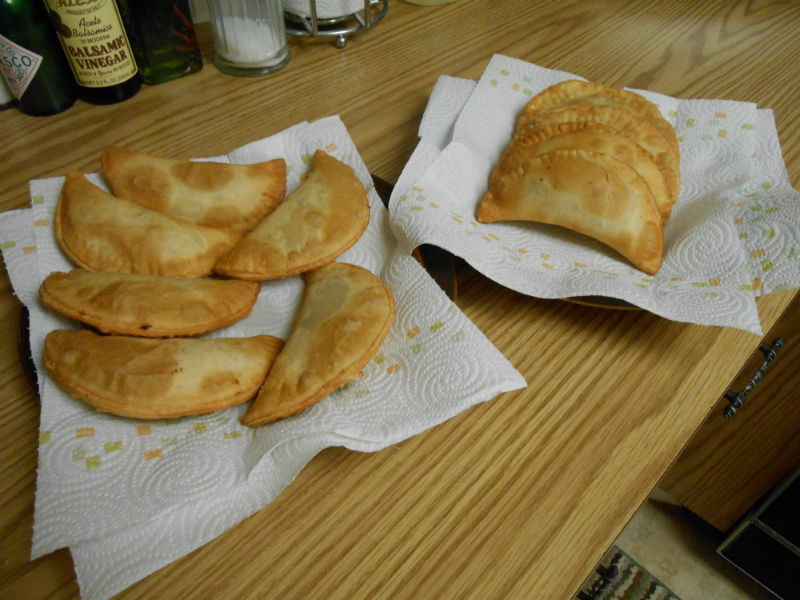 Heat oil to 360 degrees F.
Cook empanadas for 4-6 minutes or until golden brown. 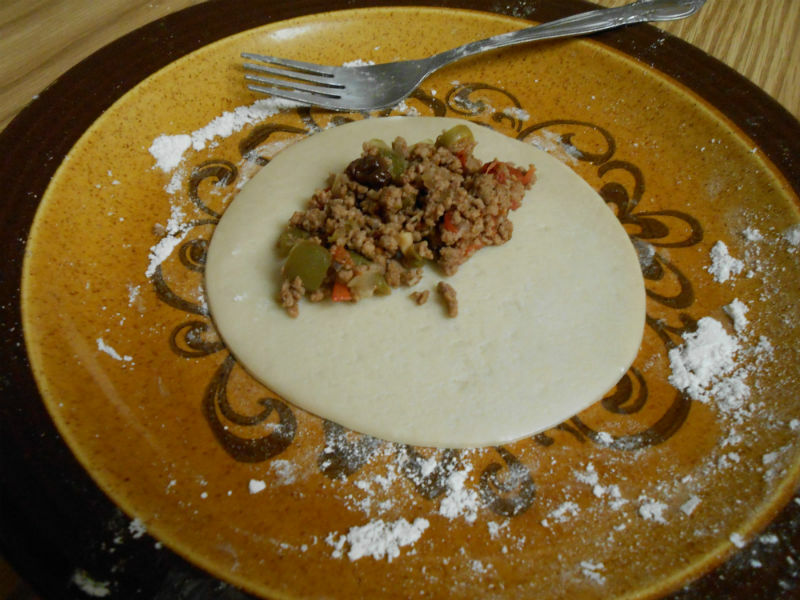 Inspired by the dish my Abuela Mima used to make often. 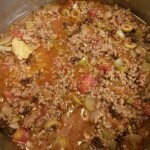 Filed Under Appetizers & Tapas | Tagged bay leaves, capers, cumin, empanada dough, garlic, green pepper, ground beef, olives, onion, oregano, raisins, tomato, tomato sauce. Bookmark the permalink.